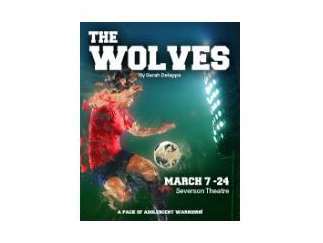 A club soccer team comprised of nine high school girls with distinct personalities navigate big questions and wage tiny battles with the fervent exuberance of a pack of adolescent warriors and show what it takes to make The Wolves a winning team. Sara DeLappe's play was a 2017 finalist for the Pulitzer Prize in Drama. Performances through March 24.